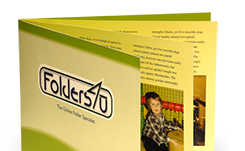 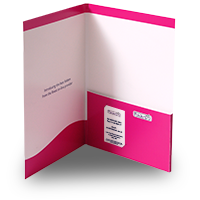 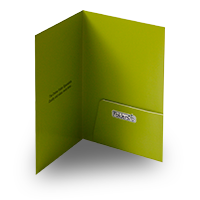 Folder brochures are presentation folders with stitched-in pages - a cross between a pocket folder and a leaflet. 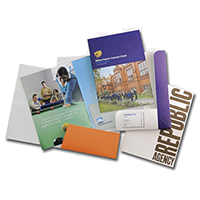 These products are ideal if you need to include a lot of information or images on the folder itself, but also require a pocket for loose inserts. 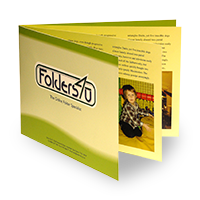 What are folder brochures good for? 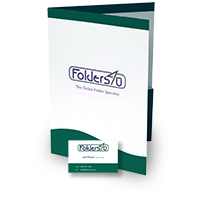 The idea is to print general, long shelf-life information on the folder brochure itself, whilst using the pocket for loose inserts tailored to specific clients or markets, or short shelf-life information such as price lists, schedules etc. 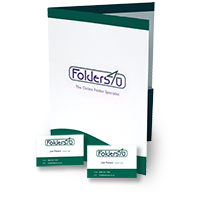 Typically, printed folder brochures have 4 page, 8 page or 12 page stitched-in sections, which, with the folder cover itself, result in 8 page, 12 page or 16 page folder brochures respectively. 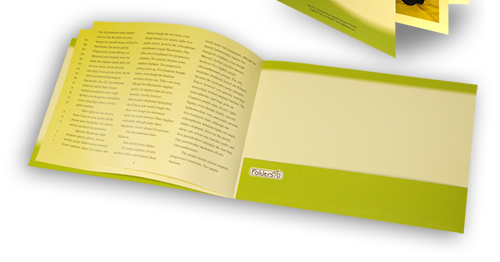 The bound-in pages are usually lighter stock than the folder covers - normally 130-150gsm. 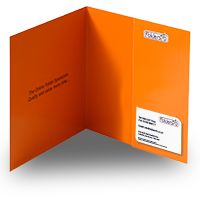 Our folder brochures are printed in full colour (CMYK) throughout, and stitched and assembled to the same exacting standards as the rest of our product range.